“I was born in Colorado when I was four years old.” So begins Hugo Evon Frey’s telling of his childhood growing up in Larimer County, Colorado. The son of Swedish immigrants Hans (Henry) and Ingrid, Hugo identified so strongly with his identity as an American, that the four years he spent in Sweden were almost of no account. The Freys immigrated to the United States in 1887 with 7 year old Alice, 6 year old Ernest, 4 year old Hugo, and their infant son, Charlie. Henry took work in the stone quarries. 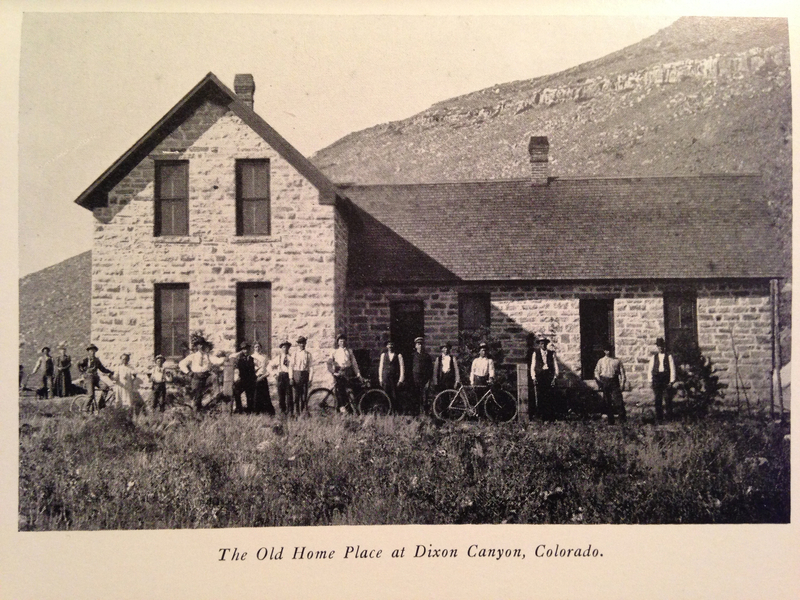 He labored around Ingleside for several years before buying a ranch in Stout (where the Horsetooth Reservoir is today). There they had animals, pasture lands, and their own quarry. 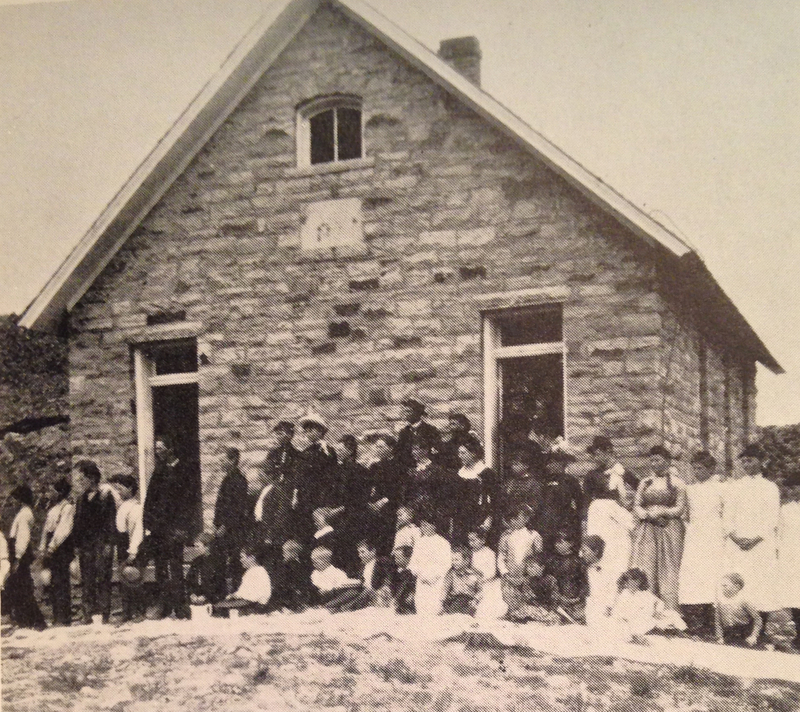 Hugo wrote that it was in the little stone schoolhouse that he attended as a child where he “learned real Americanism.” Every school day began with a rousing rendition of “My Country, ’tis of Thee,” the Pledge of Allegiance and a salute to the flag. Hugo took all of this very seriously. Ingrid Frey became ill in October 1897 and passed away in January of 1898. Unable to care for all of the kids on his own, Henry sent Hugo down to the Peterson’s on the Old Buckingham Place near Fort Collins. By fall, Hugo moved back home. But his father had so much work for him that school was out of the question. Hugo longed to go to school and managed to find a way to move in with the Buffums. Burt Buffam was a professor at the agricultural college. Here Hugo not only perfected his English skills, but he also stayed awake long into the night reading books from Mr. Buffam’s large library. Hugo eventually went on to apprentice with a plumber, but disliking his foul-mouthed, impatient co-worker, he decided he’d rather enlist in the military. After hosting a huge going away party, they went to the recruiters office the next day and were turned down. 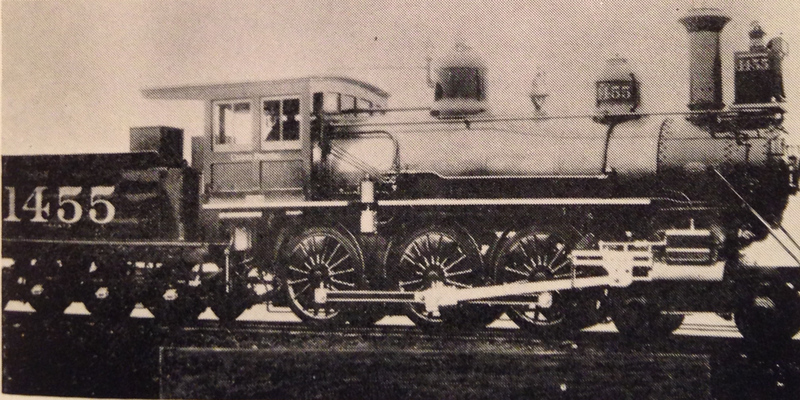 Embarrassed that they had made such a fuss about leaving, they decided instead to head down to Denver where Hugo lived with his aunt and uncle and worked for the Union Pacific Railroad. Under President Theodore Roosevelt, the Navy was being strengthened as part of his “big stick” of diplomacy. Hugo heard the call to enlist and wasted no time. He was shipped out to San Francisco where he was stationed on the USS Wyoming. There he participated in a race against a British ship. Not only did the Americans win, but Teddy Roosevelt was there on the Wyoming, witness to the entire event, and Hugo got the chance to shake his hand. 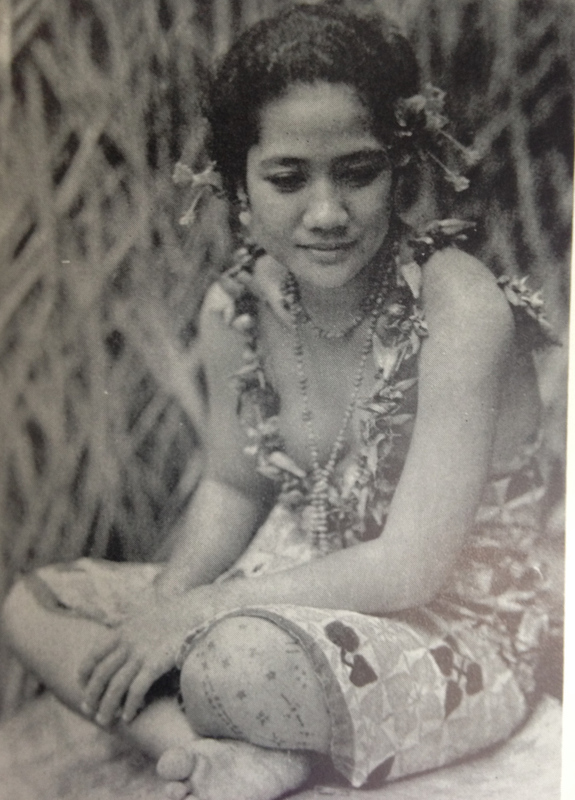 After several more adventures in San Francisco, Hugo was eventually shipped out to Pago Pago, Samoa. There he met up with cannibals, tribal chiefs, and naked Samoan women. He later wrote about the adventures he had there in his book entitled Hugo’s Odyssey (written with the Greek epic poem clearly in mind). With his pale Scandinavian skin and his blond straight hair, he was a particular favorite among the natives who loved to run their fingers through his hair. He became good friends with the local chief, Asuego, and especially the chief’s daughter, Maugufe. (He spends a couple of paragraphs describing her beauty, kindness, and sweet innocence.) He learned the language and customs of the people and had many adventures including being attacked by an octopus, winning a swimming race against the island’s champion, exploring a haunted cave with some fellow soldiers, and befriending a cannibal. It’s unclear whether Hugo actually married the girl from back home. 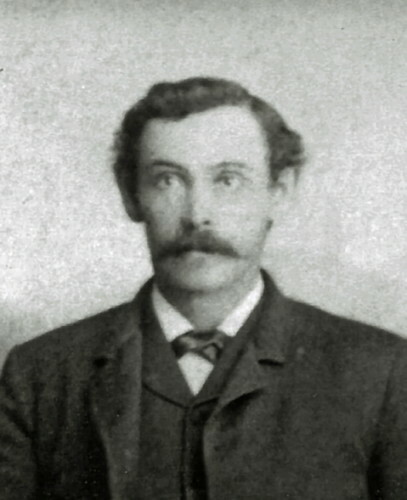 He had returned to Fort Collins by 1906, but wasn’t married until 1911. He never mentions the name of his home town sweet heart in his book. It is also unclear what Hugo did upon returning home. He’s mentioned as being at a party at his dad and step-mom’s place in 1906. He’s listed in the Fort Collins census in 1910. And in 1911, the newly married couple of Hugo and Ada Rea had a bit of excitement at their house when their new kitchen range exploded. Thankfully Ada had just walked out of the kitchen and into the living room before it happened or she probably would have been seriously injured. It’s possible that Hugo was in school studying law between 1906 and 1910, although I couldn’t find any evidence to that effect. Hugo is listed as the deputy coroner in the August 9, 1912 newspaper, but by 1912 he was the local Justice of the Peace, a position he held for 3 years. By 1913, Hugo was giving swimming lessons to young lads at the Y.M.C.A. The boys were thrilled to learn from a navy man who had beat out a Samoan in a swimming competition. But by 1914, Hugo had something new up his sleeve. In the 1910s, breakfast foods were a growing industry. Henry Drushel Perky and William Henry Ford invented a machine in 1892 that shredded whole wheat, creating the world’s first breakfast cereal. C.W. Post introduced Grape-Nuts cereal in 1897. And Dr. John Harvey Kellogg created a flaked wheat berry in 1898. Hugo Frey saw this growing trend and decided that Fort Collins could benefit by selling their grains to these cereal companies. He decided first to try using alfalfa, one of Fort Collins’ most plentiful crops. According to the December 11, 1914 Fort Collins Weekly Courier, a full meal could be created from just the one crop: syrups, extracts, breakfast food, coffee, tea, gems (candy? ), and grease. Hugo was in negotiations to bring a plant to the area that would process this bountiful crop into a cornucopia of food items. The alfalfa project must have fallen flat because not too long after the alfalfa article came out, Hugo was visiting an Emmer plant in Wisconsin which was turning emmer wheat into breakfast foods. Hugo soon got in trouble with the city due to all the time he was spending working towards the creation of an Emmer Products factory in the Fort Collins area. There were complaints that he wasn’t fulfilling all of his Justice of the Peace duties. Hugo eventually took work in Denver selling industrial securities. One day he just happened to overhear a foreigner talking smack about the American Flag. This riled him up, but when the other man went so far as to spit on the flag, well that was just too much. Hugo walloped the man and dragged him off to the authorities. By this point, Hugo and Ada had two children, Lillian who had been born in 1914, and Hugo Junior, born in 1917. The same year that Hugo Jr. was born, the United States declared war on Germany. 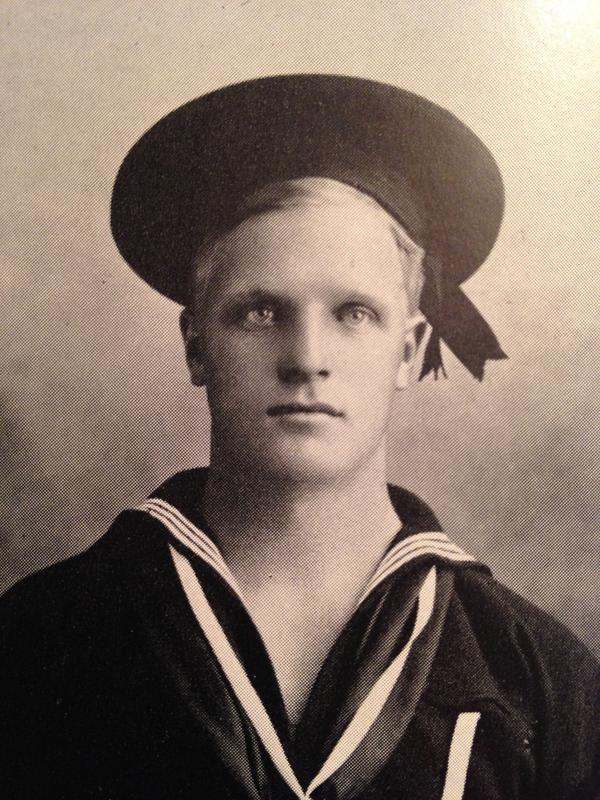 As a dutiful American, Hugo registered for the draft and was called up in 1918. He was sent to the Great Lakes Naval Training Station and there he fell deathly ill from the inoculations he was given. For two years he was laid up in bed in Wisconsin. I couldn’t find any information on where Ada and the children were during this time, but it must have been incredibly difficult on them. 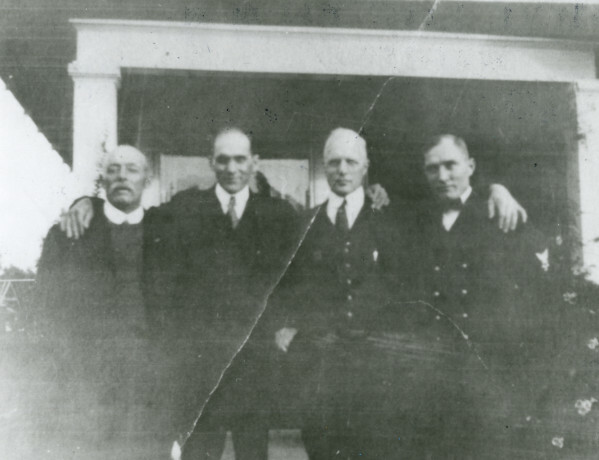 One newspaper headline stated, “Hugo Frey May Be Invalid For Life.” But by September of 1920, Hugo made a full recovery and was shipped off to California. Of course, by that point the war was over. 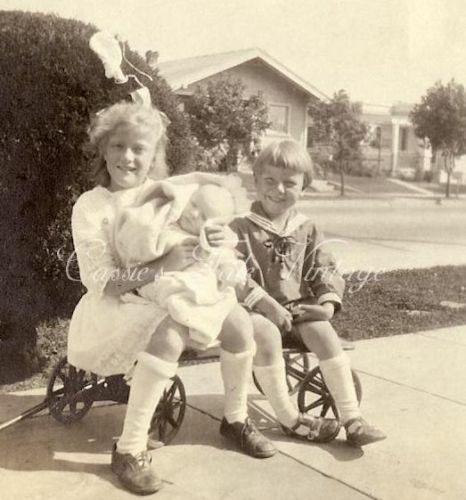 But Ada must have moved out to California to be with Hugo and in 1923, their youngest son, William, was born. Hugo and Ada lived out the rest of their days in California. Brothers Charlie, Frank, and Ernest all moved to Southern California as well. 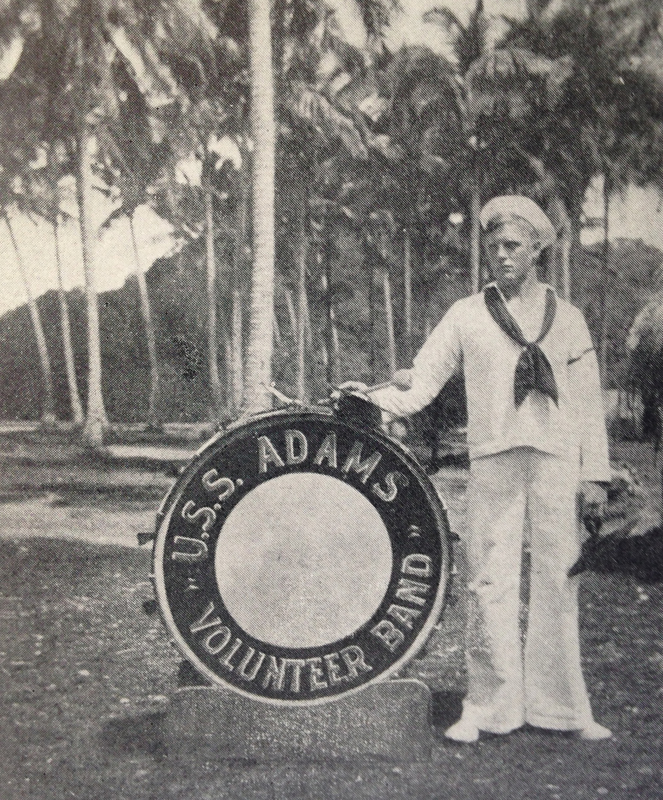 Hugo wrote articles for the local paper, the Long Beach Telegram, and he published the story of his adventures in the South Pacific in 1942. He passed away in 1962. Ada survived him by almost twenty years. I was unable to find any information on what became of his children, though I did find the above photo of them available for sale on eBay (which makes me think that perhaps the items of one of them were sold in an estate sale). Though Hugo didn’t finish out his days here, he was one of the area’s native sons with exciting tales of adventure that he shared with Fort Collins residents not only through his writing, but through frequent lectures and missionary meetings in town, inspiring others to sally forth and see the wider world. I close with Hugo’s own words as he wrote about the difficulty with which he left the Pacific isles. It is clear that though he loved his hometown, it was the islands which he longed for the rest of his life. Be watching next week when I post one of Hugo Frey’s stories about a Northern Colorado Christmas adventure. I found most of the information about Hugo’s jobs and other Fort Collins interactions through the newspapers thanks to Colorado Historic Newspapers. Information about the history of Post cereal and Kellogg’s cereal came from their respective websites. I used Ancestry.com to get a grasp on the people in Hugo’s family and where he lived throughout the decades. I had hoped to find out more about Ada’s background that way as well, but information on her was rather scant. Are you a relative of Hugo’s?